Sikar, is a small city located in the western part of India. Once a kingdom of the royal Shekhawat rajas, today it is an administrative headquarters of Sikar district. This historic city contains many historic monuments and is dotted with a large number of havelies. Sikar is one the most opted destination amongst the tourists for its ancient havelies and fresco paintings, temples and forts. Today also many royal Shekhawat families reside in Sikar. In the recent years to many of its beautiful palaces and forts have been converted into heritage hotels to allow visitors explore the glory of the bygone years while residing in them. This heritage hotel closely resembles to a European country mansion its style of architecture. Built by the Raja Guman Singh, the palace provides you with the scenic surroundings including lake and sand dunes. The heritage hotel in Sikar is tastefully designed in traditional décor along with featuring a collection of old family paintings, portraits and paintings. The rooms of these heritage hotels are very spacious and are appointed with all modern day facilities. 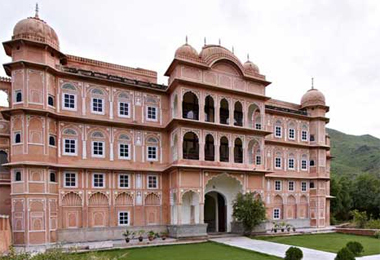 Next time plan a vacation to Sikar and stay at one of the heritage hotels in Sika. To avail great discounts on the booking of heritage hotels in Sikar, book through HeritagehotelsofIndia. V& PO Patan, Tanwarawati, Tehsil: Neem Ka Thana Distt: Sikar: near Kotputli, Pincode 332718, Rajasthan, India.